COURTESY OF DAVID MANO Sunoco/ETP's Mariner East 2 construction site in West Whiteland Township, Chester County. Critics doubt that the DEP's decision to lift a stop-work order will ensure fewer environmental violations when construction resumes. 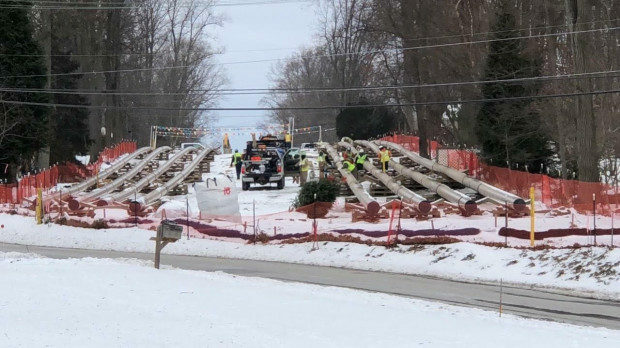 Pennsylvania’s decision on Thursday to allow Sunoco to resume construction on the Mariner East 2 pipeline after a month-long shutdown failed to convince critics that the company will do so with any more respect for environmental regulations than they say it has had since starting the project a year ago. Despite the Department of Environmental Protection’s $12.6 million civil penalty for the project’s many violations, and the company’s agreement to do a compliance review, critics said the measures don’t ensure Sunoco will meet regulations as it tries to get the natural gas liquids pipeline up and running after a long series of delays.